Astronomy, the study of celestial phenomena, has played a major role in all aspects of life in India. It was believed that it was the planetary motions, which suggested the propitious and unpropitious periods for religious observances. Planetary configurations were also believed to affect agriculture, architecture etc. As a result, there developed a science of celestial phenomena on one hand, and Astrology on the other. In this essay we try to give a glimpse of the evolution of Indian astronomy. 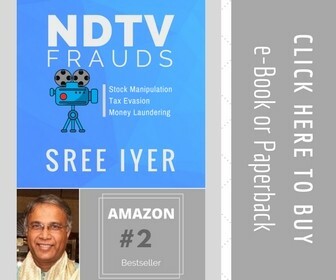 The vast achievements of Indian astronomy are scattered through a multitude of articles and books and therefore its difficult to condense them in a few pages. Luckily, we came across an interesting essay on the history of Astronomy by Rajesh Kochhar, the famous astronomer and Indologist. He has discussed the history of Indian astronomy under the heads of the Vedic Age, the Siddhantic Astronomy, the Zij-Astronomy, underlining the Arabic influence, followed by Modern Astronomy, besides some accounts of Babylonian, Greek, Medieval and Modern Astronomy. In this brief essay we are trying to give a fair glimpse of the evolution of Indian astronomy. 3. they were aware of Greek science too and translated Greek works in Sanskrit. Rajesh Kochhar takes a look at the Pre-Telescopic Astronomy in India. Pre-Telescopic would mean the period that preceded the invention and the use of Telescope by Galileo in 1609. While introducing the subject he tells us that the ancient man’s perception of the Universe was based on ‘Seeing is believing’. Since the planetary bodies seemed to go round the earth, the earth was assumed to be the centre of the Universe. This approach is understood as the geocentric approach as opposed to the heliocentric approach which, on the contrary believes that the planetary bodies are going around the Helios – the Sun. We know that for the ancient people the seven planets: Moon, Mercury, Venus, Sun, Mars, Jupiter, and Saturn revolved around the earth, arranged in order of increasing geocentric distance. Beyond Saturn lay the unchanging fixed stars, stitched on the dark tapestry of the night sky, which in the ancient Indian scheme of things were observed not for their own sake but as a backdrop for the planetary motions. Such stars and star groups are called Naksatras. This perception was all changed during the medieval times when Galileo, Copernicus and Kepler helped in propounding the heliocentric concept in which the nine planets Mercury, Venus, Earth, Mars, Jupiter, Saturn, Uranus, Neptune, and Pluto go around the Sun – in an increasing heliocentric distance. Kochhar points out that the ancient Indian planetary model recognised that the Moon went around the Earth. It was also correctly assumed in ancient times that a longer orbital period implied greater geocentric distance for the planet. Unfortunately, at the current level of knowledge, it is not possible to say anything about the state of astronomy in the Harappan times that preceded the Vedic Age. Kochhar concedes that the starting point with regard to astronomy in ancient India could only be Rgveda. Rgveda stands at the head of the corpus of Vedic texts which includes, in a rough order of decreasing antiquity, four Vedic Samhitas: Brahmanas, Aranyakas, Upanisads and Vedangas. While the astronomical references in the Rgveda and other major Vedic texts were sporadic and desultory, there existed an ancient, exclusively astronomical, text called Vedanga Jyotisa (‘Astronomy as part of the Vedas’). We are not told as to how the Vedic people drew their conclusions but as they thought ‘seeing was believing’, Kochhar says that the Rgveda: 10.161.4 refers to a year as represented by the return of the seasons. Rgveda repeatedly referred to Brhaspati as ‘the lord of the prayers’. It was not clear whether Brhaspati’s identification with Jupiter had already been made or was a later development. In Vedic literature Brhaspati was called the ‘regent of the Nakshatra Tisya’ (Delta Cancri). 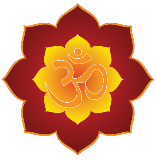 Vedanga Jyotisa was the most neglected part of the Vedic literature. The authorship of the Rgvedic Jyotisa was attributed to Lagadha, about whom nothing else is known. The book contained an observational statement that winter solstice took place at the star group Sravistha (Alpha Delphini). If this statement was taken at face value, it could be dated to c. 1400 BC on the basis of the phenomenon of precession of the equinoxes. Since we do not know the accuracy of the above observation, this date should be considered merely indicative. The Vedanga Jyotisa calendar used both the Sun and the Moon as timekeepers. The Rgvedic year consisted of 12 months, each month of 30 days, giving a total of 360 days to a year (Rgveda: 1.16. -4.48). As we know, a year consists of 365 days, while a month, defined as the period from one new (or full) moon to the next, contains 29.5 days. A solar year thus can never contain an integral number of lunar months. Twelve months with their 354 days fall short in a year by 11 days. A lunar-solar year must consist of 12 or 13 lunar months. The key question is when to add the extra (intercalary) month. To resolve this discrepancy, the Vedanga Jyotisa added two intercalary months in a period of five years, which thus contained 62 lunar months or 1830 days. Therefore, the Vedanga calendar, with an average year length of 366 days, accumulated a rather large error of four days in five years. The use of the term Yuga is peculiar to the Indian Astronomy that calculates and denotes vast stretches of time. Kochhar says the basic sense of yuga was not a fixed unit of time, but any time span that could be associated with a recurring phenomenon. The word occurs at a number of places in Rgveda, probably standing for different time periods. Rgveda: 1.158.6 refers to Dirghatamas ‘having grown old in the tenth yuga’. Here, obviously, yuga was a fraction of human life, may be five or ten years. Vedanga Jyotisa, seemed to imply a five-year yuga. Atharvaveda mentioned units of100 years, an ayuta (10,000 years) and then two, three, and four yugas. This suggested that a yuga here probably meant 10,000 years. The terms Kali, Dvapara, Treta and Krta were mentioned in the Vedic literature as the designation of throw of dice marked 4, 3, 2 and 1. Four ages, Pusya, Dvapara, Khara and Krta, were mentioned in the later portions of Sadvimsa Brahmana, while Dvapara was mentioned in the Gopatha Brahmana. Interestingly, the Brahmana literature considered Krta to be something good and the others increasingly inferior, with Kali the worst. It was however not clear whether the reference here was to a time-span or a throw of dice. Yaska’s etymological text Nirukta (c.4OO BC) defined Brahma’s day as equal to 1000 yugas, without saying what a yuga was. Manusmrti defined a unit of time called Mahayuga or caturyuga made up of four yugas Krta, Treta, Dvapara, and Kali – with lengths in the ratio of 1:2:3:4. The Mahayuga then contained 1200 X (4 + 3 + 2 + 1) or 12000 divine years. Multiplying it by 360 gave the number of human years in a Mahayuga. Thus 1 Mahayuga = 43,20,000 years. Next,1000 Mahayugas are set equal to a Brahma’s day. ‘A Brahma’s day consists of a dawn equal to a Krtayuga followed by 14 Manvantras to each of which is appended twilight, also equal to a Krtayuga.’ The scheme can be continued to build Brahma’s chronology. His Ahoratra would contain 2000 Mahayugas. A total of 360 Ahoratras would make his one year, and 100 of which his entire life span. The latter-day mathematical astronomers adopted the concept of a Mahayuga and a Brahma’s day; with one minor change that Brahma’s day was given the non-denominational designation Kalpa. The term Kalpa did not figure in the Vedic texts but was mentioned in the Mahabharata as a unit of time. It is interesting to note that Indians had the concept of deep time, in contrast to the Christian-Judaic Civilisation, in which the universe began only in 4000BC. Now a word about the different eras used in India. Kochar says the oldest inscriptions in India, after the Harappan period, are the edicts of Asoka put up during his reign (273-236 BC). These inscriptions are in Prakrit language and Brahmi script. They used a Vedanga calendar: The years were counted from the king’s coronation; no continuous era starting from a fixed point was used. Within a year, time was reckoned in three seasons of four months each. Each month was divided into two halves (Paksas). The month was lunar and Purnimanta – that is, it ended with full moon. Within a month, days were reckoned by the Tithi, meaning the period from moon-set to moon-set during the bright half, and from moon-rise to moon-rise during the dark half. (Division of a lunar month into 30 Tithis came later). The days were named after the Naksatras. The Vedanga calendar continued to be used by the successors of the Mauryas, the Sungas and the Kanvas (186 BC-AD 45) and the Satavahanas ( c. AD 100). The first era to be introduced in India was the Saka era, brought in by the Sakas (known to the Greeks as Scythians) who arrived from central Asia. The Saka era was believed to have originally started in 123BC. In the year 201 of this era, that is in AD 78, Kaniska subtracted 200 from this number to arrive at the first year of the Saka era, as we know it. Thus the year 2003 of Gregorian calendar that is followed globally is equal to Saka era 1925 (2003-78 =1925). The official Indian calendar follows the Saka Era. In India Vikrama era is also widely used, which according to the legend was founded in 57 BC by king Vikrama of Ujjain to commemorate his victory over the Saka raiders. The legend however has no historical basis. The earliest mention of the Vikrama era was found in an inscription dated 794 of Vikrama era, or AD 737, of one king Jaikadeva in Kathiawar. It seems that the earliest name of the era was the Krta. During AD 405-542, it came to be known as the era of the Malavas. Its association with Vikrama was first found in AD 737. Its early use was confined to Kathiawar and Rajasthan. In about AD 824, the Gurjara Pratiharas of Rajasthan conquered the city of Kannauj, and brought the Vikrama era with them. It became current in the whole of north India, except the eastern region, and was used by all the Rajput dynasties of medieval times. The only historical king Vikramaditya, who was known to have crushed the Saka power at Ujjain, was king Candragupta-II of the Gupta dynasty (c. AD 395). Many Gupta kings, Samudragupta onwards, called themselves Vikramaditya. But in their inscriptions they used the Gupta era, which commemorated the foundation of their empire in AD 319. The Sun’s apparent path around the Earth defines the ecliptic. The Greeks who literally translated the Babylonian sign names adopted the Babylonian concept. The name zodiac is credited to the astronomer Cleostratos (c. 530 BC). The zodiacal signs came to India in the post-Alexandrian period. The traditions of the Graeco-Mesopotamian astronomy were preserved in two Sanskrit texts. In AD 149/150, in the reign of Rudradaman-I, probably at Ujjain, one Yavanesvara translated a long Greek astrological text into Sanskrit prose. In AD 269/270, Sphujidhvaja versified a large part of this text in a text entitled Yavana-jataka, which is extant. The rather simple Sun and Moon-oriented astronomy of the Vedanga eventually made way for the mathematically rigorous planetary astronomy of the Siddhanta (Siddhanta, literally meaning ‘proven in the end’), was the name given to the astronomical texts of the period. The Indian astronomical tradition, like the intellectual tradition in general, was entirely oral. Astronomical texts were composed in terse verse, often in metrical form. To facilitate teaching, commentaries were composed on famous texts. As long as an astronomical text was in use, it was memorized. Very often, the text was forgotten except for fragments incorporated into or cited in other texts. In many cases, an astronomer could only be assigned approximate relative chronology on the basis of cross-references in dateable texts. The Arab countries gave due regard to Indian science and Indian scientists. They invited Indian scholars to head their academies and doctors to direct their big hospitals. Through them much of Indian science was spread to the West too, though there it was often taken only as Arab science. This provided a rich Arab-Persian corpus of Persian/ Arabic translation of the Sanskrit texts on the Siddhantic period. In addition, Al-Beruni provided valuable information on astronomy as on everything else. Kosthakas or Sarinis were sets or astronomical tables for determining planetary positions or solving other problems in astronomy. The early Siddhantic period is rather poorly recorded. No contemporaneous texts are extant nor are its astronomers identifiable. Whatever we know about this period is from later texts, which call the early texts a-pauruseyas, ‘non-human’ or divine. It is therefore necessary to acquaint ourselves with the historical-period texts and authors before we can learn about the a-pauruseya period. The historical era began with Aryabhatta (b. AD 476) whose text Aryabhatiya AD 499 (meaning Aryabhata’s work) was the first astronomical work attributed to a single author and accurately dated. Asmaka was called Assaka in Pali texts, which placed its capital Pratisthana (modem Paithan) on river Godavari. Varahamihira in his Brhat-samhita placed Asmaka in the north-west region of India. 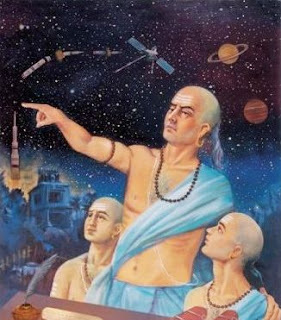 The illustrious names in Siddhantic astronomy, following Aryabhatta, were his direct pupil Latadeva (AD 505); Varahamihira (d. AD 587), a compiler rather than researcher, and an expert on omens; Bhaskara-I (AD 629), Aryabhatta’s commentator and an able mathematician; Aryabhatta’s bete noire Brahmagupta (b AD 598); Lalla (AD 638 or 768); Manjula or Munjala (AD 932); Aryabhatta-II (c. AD 953); Sripati (AD 1039); and Bhaskara-II (b. 1114), author of the celebrated mathematical work Lilavati. A powerful school of astronomy, mostly based on Aryabhatta’s system, flourished in Kerala from thirteenth century right into the nineteenth. It included such illustrious names as Paramesvara (who in AD 1413 introduced the Drgganita system) and Acyuta Pisarati (d.1621). Many astronomers composed commentaries on earlier authoritative works. Among the commentators were such well-known names as Prthudaka (AD 864) in Kannauj and Bhagotpala (AD 966) in Kashmir. The basic observational input into the Siddhantic theory was the orbital periods of the geocentric planets, which would have been obtained by actual observation. However, instead of saying that Saturn’s period was 29.47 years, a Siddhantic astronomer would, for instance, say that Saturn made 146,564 revolutions in a Mahayuga. After the lapse of a long period of time (like a Mahayuga), during which the planets made an integral number of revolutions the planets returned to the original alignment. In a text no longer extant, Aryabhatta also propounded the Ardha-ratrika (midnight) system in which the beginning of Kaliyuga was placed six hours earlier, at the midnight of 17/18 February 3102 BC. Modern simulations have shown that the planets were not in conjunction in 3102 BC. The date 3102 BC has earned a non-astronomical connotation because of Aryabhatta’s peculiar way of describing it. We can now introduce the various schools, or Paksas, of the classical Siddhantic astronomy: Brahma, Arya, Ardha-ratrika, and Saura. Aryabhatta’s Aryapaksa and Ardha-ratrika-paksa differed from the Brahma-paksa in two important aspects: Aryabhatta set a Kalpa equal to 1008 Mahayugas (or 72 Manvantaras). Our chief source of information is Varahamihira’s compendium, aptly called Panca-Siddhantika, because it described the five (panca) ancient Siddhantas. Arranged in order of increasing accuracy they were the Paitamaha, Vasistha, Romaka (of the Romans), Paulisa (by Paulus), and Surya. Brahmagupta cited the Paitamaha on Mars and other planets, which did not figure in Varahamihira’s summary. The Siddhanta was cast in the form of a lecture by God Brahma to Bhrgu. The Panca-Siddhantika devoted 13 verses to the Vasistha-Siddhanta whose date was 3 December AD 499. From the post-Varahamihira period, we had a Vasistha-siddhanta by Visnucandra (before Brahmagupta’s time) and a later work, Vrddha-Vasistha-siddhanta. A large part of Panca-Siddhantika was devoted to the Paulisa, which used a sidereal year. It continued to be current up to the time of Bhattotpala (AD 966) who quoted from it. No text of this Siddhanta is now extant. Of the five Siddhantas mentioned by Varahamihira, the Surya-siddhanta alone has survived. It was supposed to have been described by the Sun-god himself to Asura Maya, the architect of the gods, who in turn revealed it to the Indian Risis. It was recast into the Ardha-ratrika system (dated midnight 20/21 March AD 505) by Latadeva. The Siddhantic astronomical tradition was alive till as late as 1825, when John Warren found a ‘Calendar maker residing in Pondicherry’ who showed him how to compute a lunar eclipse by shells placed on the ground, and from tables memorized ‘by means of certain artificial words and syllables’. The credit for discovering the fact that the earth rotates on its axis goes to Aryabhatta. This observation was mentioned at three places in Aryabhatiya. The Skanda-purana (1.1.31.71), described the Earth as revolving like a Bhramarika (spinning top). The concept of Earth’s spin, however, ran counter to the received wisdom on the subject. Varahamihira and Brahmagupta even listed physical arguments as to why the Earth could not be in motion. Aryabhatta’s belief in Earth’s rotation was generally a source of embarrassment to his followers down the ages. Kochhar points out that it should however be kept in mind that Aryabhatta’s belief in the Earth’s rotation was at the level of a hypothesis, acceptance or negation of which had no bearing on the planetary calculations. The Vedic mythology attributed the eclipses to a demon Rahu, who was explicitly named in Atharvaveda. The correct mathematical theory of eclipses was first given by Aryabhatta in the Indian context. He pointed out that for an eclipse to occur, the moon should be at one of its nodes, that is, at one of the two points where the lunar orbit intersects the ecliptic. Subsequently, the term Rahu was borrowed from the Vedic texts and applied to the lunar node, especially the ascending node (when the moon crossed the ecliptic moving northwards). At the same time, the mythology was modified to keep pace with the scientific developments. The old single demon Rahu was cut into two, the head Rahu and the torso Ketu to correspond to the two nodes. The concept of Rahu and Ketu traveled outside India also. Interestingly, while Rahu stood for the ascending node, Ketu denoted the lunar apogee, an identification not known in India. Throughout the Siddhantic period, instruments and observations played second fiddle to computations. Although Bhaskara-II was credited with devising a rather versatile instrument, Phalaka-yantra, but observational astronomy came into its own only in the medieval times, again thanks to India’s interaction with central and west Asia. As we have seen there was an active scientific exchange of India with the Arab world. The post-Siddhantic astronomy had been referred to by a number of names, most of which were misnomers. ‘Arab astronomy’ was not a correct expression because most of the astronomers in this period were non-Arabs. According to Ibn Khaldun (1332-1406) ‘It is a remarkable fact that, with few exceptions, most Muslim scholars both in the religious and in the intellectual sciences have been non-Arabs.’ Kochhar says the term ‘Islamic astronomy’ was politically incorrect, and in the Indian context factually wrong as well because, contrary to the popular belief, this astronomy was Sanskritized’. The more recent term like ‘central and west Asian astronomy’ appears laboured, and is spatially restrictive. The most appropriate term therefore, was ‘Zij astronomy’, because the main occupation of astronomers in this phase was the preparation of Zijes-that is, mathematical tables. There are three types of Zijes: (i) Zij-e-Rashadi (direct tables) based on actual observations; (ii) Zij-e-Hisabi (calculated tables) obtained by correcting observational tables for errors, precession, etc. ; and (Hi) Zij-e-Tas’hil (simplified tables) which were the simplified versions of other tables – like the one which could deal with the Moon alone. The Zij period began in Baghdad under the auspices of the Abbasid Caliphate. To place the astronomical developments of the period in the political context, we may note the sequence of the early Abbasid Caliphs: Al-Saffah (750-54), Al-Mansur (754-74), Al-Mahdi (775-85), Al-Hadi (785-86), Harun-Al-Rashid (786-809), and Al-Mamun (813-33). The starting point of the Zij astronomy in India was the translation of first the Sanskrit and then the Greek texts into Arabic. The Arabic bibliographical tradition recorded the name of an Indian astronomer Kankah-al-Hindi (c. 775-820), who was not known to Indian sources at all. The first regular astronomer to be known in Arabic was Brahmagupta whose Brahmasphuta-siddhanta was the basis of a work entitled Maha-siddhanta composed in the late seventh or early eighth century. This work was in turn the basis of Zij Al-Sindhind Al-Kabir composed by Al-Fazari during the reign of Al-Mansur. The Aryabhatiya was translated into Arabic as Zij Al-Arbhar in about AD 800. The first astronomical tables in Arabic were prepared by translation from Sanskrit by Muhammad ibn-Musa Al-Khwarizmi (780-850). Al-Khwarizmi’s tables constituted a landmark in the world history of astronomy and mathematics they represented the westward migration of the Indian numerical system, including zero. Interestingly, while these numerals were called Hind-se (from India) in Arabic, they were termed Arabic in Europe, acknowledging the supplier rather than the originator. (By the way, the English term Algorithm was derived from Al-Khwarizmi). One of the greatest Zij astronomers was Muhammad ibn-Jabir ibn-Sina Abu-Abdallah Al Battani (d. 928), known to Europe as Albategnius. Umar Al-Khayyam, better known as a poet for his Rubaiayat (A loaf of Bread beneath the Bough, A Flask of Wine, a Book of Verse and Thou) than as an astronomer, was the director of an observatory built by Malik Shah of Saljuki dynasty. His work came to be known as Zij-e Khayyam. Assiduous observations lasting a dozen years resulted in the influential Zij-e-llkhani. It consisted of four maqales (chapters) dealing with different eras; stellar, longitudes; and astrological predictions. Each maqala was supplemented with a number of tables. A hundred years later, Zij-e-Ilkhani was amended by Ghyathuddin Jamshid bin Masud Al-Kashi (d.1429) under the (abbreviated) title Zij-e- Khaqani. This Zij was completed at Samarqand where Al-Kashi was invited to assist Ulugh Beg (1394-1449), the most outstanding observational astronomer of the medieval times. At Samarqand, Ulugh Beg built a madrasah (university) in 1420 and an observatory in 1424. Ulugh Beg’s observational Zij was finally completed in 1436. It goes by different names. Ulugh Beg’s work was also called Zij-e-Gurgani after Gurgan, a title used by Timur. It formed the basis of most subsequent catalogues, and was used even by Johan Flamstead (1646-1719), the first Astronomer Royal at Greenwich Observatory. Ulugh Beg’s work held sway for close to three centuries, when it was supplanted by telescopic data. India’s introduction to Zij astronomy came about at the hands of Al-Beruni (973-1048) who himself wrote Zij-e Masudi, also called Qanun-al-Masudi. India’s first Zij was prepared by one such asylum-seeker, Mahmud bin Vmar. The work was called Zije-Nasiri after the Sultan of Delhi Nasir AI-Din Abul-Muza Mahmud bin Shams AI-Din Iltutmish (reign 1246-65). Zij astronomy took root in India under the patronage of Feroze Shah Tughlaq who ruled from Delhi from 1351 to 1388. It was during this period that the versatile portable astronomical instrument Ustarlab or the astrolabe was introduced to India. Mahendra Suri, the head astronomer at the royal court, prepared in 1370 a monograph on astrolabe, titled Yantra-raja. This was the first Sanskrit work exclusively devoted to instrumentation, and was the subject of many later commentaries. In about 1400, Padmanabha described an astrolabe whose design was different from Suri’s and therefore taken from a different source. More importantly, he also described an instrument, dhruva-bhramana-yantra, which measured time by an observation of the star group ‘polar fish’, that included the bright pair Alpha and Beta Vrsae Minus. Some Sanskrit texts describing astronomical instruments are given in Table 1. Humayun’s astronomer Mulla Chand used an astrolabe to determine the time of Akbar’s birth. Chand was also Akbar’s court astronomer. Shah Jahan’s court astronomer Fariduddin Masud bin Hafiz Ibrahim Munajjim (d. 1627) computed his Zij-e Shah Jahani based on Ulugh Beg’s observations. This Zij was translated into Sanskrit by Nityananda (c.1639). He also gave detailed classification of all Zijes compiled till his time. From the eighteenth century, we have Raja Jai Singh Sawai’s (1688-1743) treatise on instruments, Yantra-prakara, essentially completed before 1724. In 1732, his astronomer Jagannatha translated Al-Tusi’s Arabic recension of Almagest into Sanskrit under the title Samrata-siddhanta, adding a supplement to it describing various instruments. Jai Singh set up a number of (pre-telescopic) masonry-type observatories. The Delhi observatory established during 1721-24 was followed by a bigger one built during 1728-34 at his capital Jaipur. He built smaller ones at Mathura, Ujjain and Varanasi between 1723 and 1734. The Varanasi observatory was set up on the terrace of Manamandira, a palace built by Jai Singh’s ancestor Man Singh (1550-1614); it was likely that he renovated an old observatory. Jai Singh’s observatories were modelled after those of the ‘martyr-prince’ Ulugh Beg. Jai Singh’s interest in astronomy was no doubt genuine yet there was an element of irony in Jai Singh’s nomenclature for his astronomical work. From a scientific point of view, the most remarkable feature of Jai Singh’s astronomy was its anachronism. Jai Singh failed to recognize the significance of European developments. Jai Singh’s edifice of science did not survive for long. In 1745, two years after Jai Singh’s death, Emperor Muhammad Shah invited Father Strobl to come to Delhi and take charge of the observatory. It is significant that the first British merchant ship reached India the same year as the telescope was invented in the Netherlands. The needs of the maritime trade acted as a great incentive for growth of modern astronomy. Observatories were set up at Paris (1667) and Greenwich (1675) to solve the problem of the longitude at sea, and many young men seeking employment with the (British) East India Company took tuition from the Astronomer Royal. Modern astronomy came to India in tow with the Europeans. The early use of telescopic astronomy in India was desultory, sporadic and often motivated by personal curiosity. In the nineteenth century there was widespread use of science by the British to further their commercial and political interests. Indians came into contact with modern science, when they were assigned the peripheral role of providing cheap labour. Once introduced to modern science, Indians finally strove to become full-fledged members of the international republic of science in their own right. Finally, contributing his critique to the chapter Kochhar points out that at critical junctures in its history, astronomy received impetus for its ability to successfully negotiate human fear of natural forces. Whenever cultural areas felt self-assured, they advanced astronomy. In earlier times society lent its support for astronomy for calendrical and astrological reasons. Since ancient man felt insecure on Earth, he felt scared of the gods also. 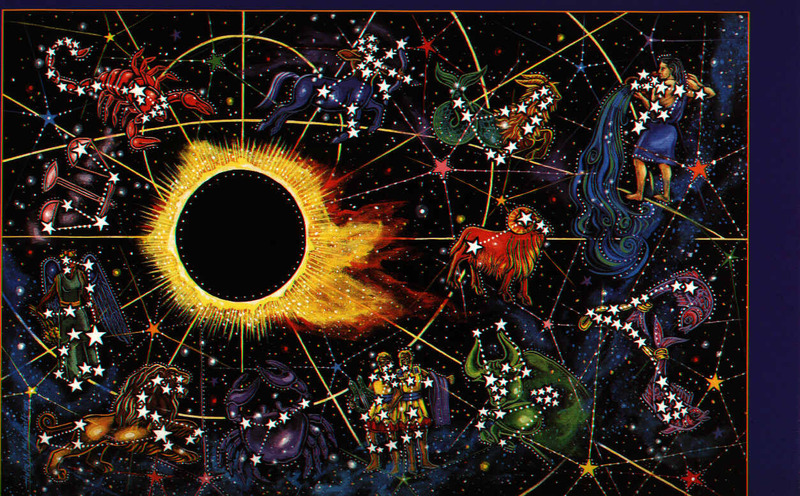 As astronomical knowledge increased, astrology also became more intricate. Belief in astrology thus kept astronomy alive. The only lean period astronomy experienced in India was when Buddhism held sway. Modern science rightly dubs astrology as a pseudo-scientific cult. The early awe of astronomical gods left its mark on the Siddhantic period. One wonders whether the society’s support for astronomy in the name of astrology prevented the astronomers from challenging the existing paradigms. In earlier times, astronomical knowledge was not treated as scientific deduction, but as divine revelation. How a purely scientific work was slowly made extra-scientific was illustrated by the reaction of Bhaskara-I, a great authority on Aryabhatta. A remarkable feature of pre-telescopic astronomical activity in India was its interaction with the work abroad. The Zij period had begun in Baghdad with the translation of Sanskrit texts. It came to a close at Delhi and Jaipur with the translation of Ulugh Beg’s tables into Sanskrit. Rajesh Kochhar Pre-Telescopic Astronomy In India. 2001. In History of Science, Technology and Culture (Ed.) A. Rahman. New Delhi: Oxford. Pp. 171-197. Kochhar, R. and J. Narlikar. 1995. Astronomy in India: a Perspective. Delhi: INSA. Sen. S.N. and K.S. Shukla. 1985. History of Astronomy in India. Delhi: INSA. (1732) Tr. of Almagest with suppl. c.1736-1811 Cintamani Diksita Golananda (1800) Misc.